Windermere is the largest natural lake in England. It is a ribbon lake formed in a glacial trough after the retreat of ice at the start of the current interglacial period. Long expo at Derwent Water, near Keswick in Lake District, Cumbria, England. 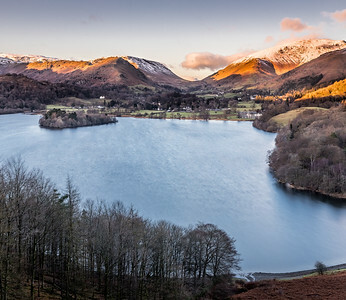 The lake occupies part of Borrowdale and lies immediately south of the town of Keswick. It is both fed and drained by the River Derwent. Derwentwater is a place of great scenery. 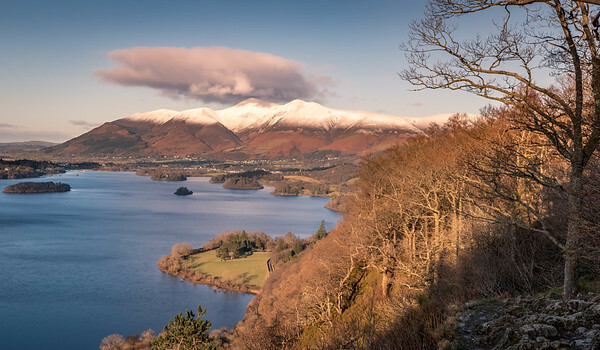 It is surrounded by hills (called fells), and many of the slopes facing Derwentwater are heavily wooded. Derwent means River with oak trees. The lake is believed to be the last remaining native habitat of the vendace fish. It was also the shooting location for Star Wars Episode VII: The Force Awakens for the scene "Approach to Maz Kantana's Castle, Takodana". 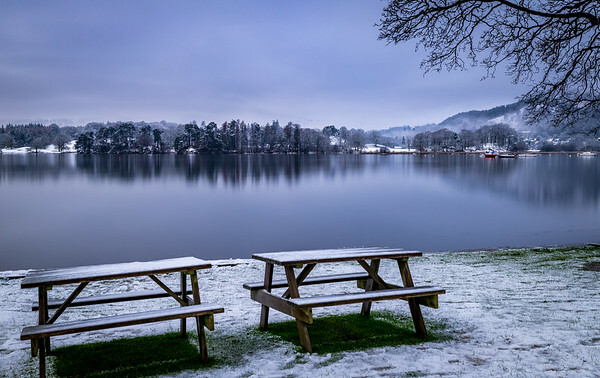 Our winter trip to the English Lake District turned out be a winter wonderland. It doesn't usually snow a lot in the Lake District, but this year was different. 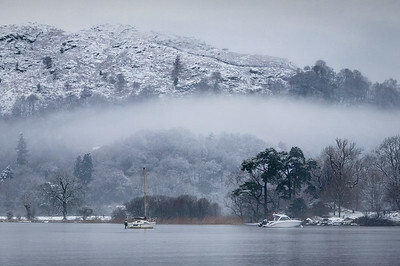 It snowed all night and by morning Lake Windermere transformed into this surreal scene with snow covered peaks and trees with mist rolling in from all directions, it was almost magical. 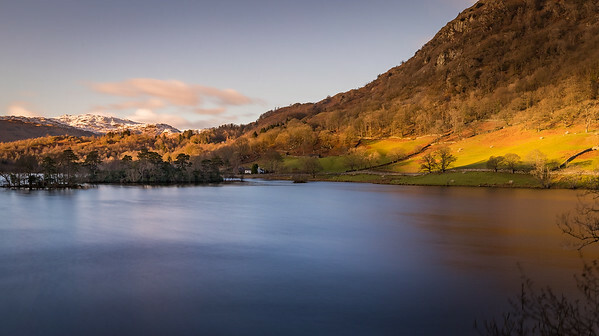 A just in time shot to capture the last light in Borrowdale. The background is lit by the orange light from the setting sun and the foreground is in shadow. Also one of my recent sun star attempts which turned out pretty good. The Canon 16-35 F/2.8 Mk III produces the finest sun stars I have seen and is sharp as hell. It is quickly becoming my favourite landscape lens. A shot just before sunset taken opposite Lake Buttermere. 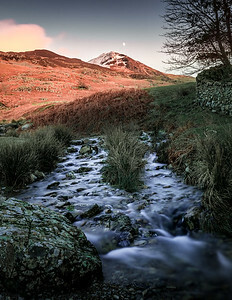 The last rays of the winter sun still hit the peak as the moon rose exactly behind the peak on the right. 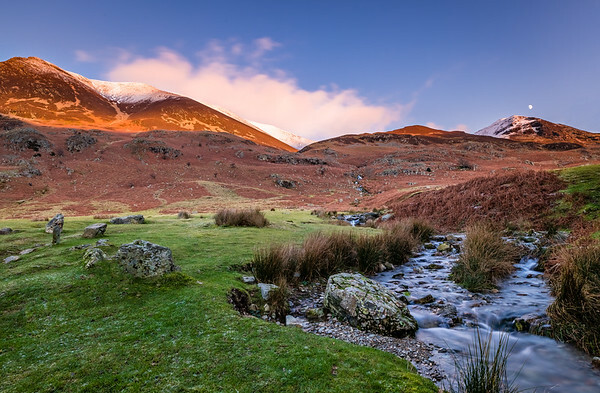 This stream which acts as a leading line flows down the fell (mountain) and joins Buttermere. Buttermere is a lake in the Lake District located in the county of Cumbria. Buttermere means "the lake by the dairy pastures" (from the Old English "butere mere"), conveying the fertile nature of the flat alluvial land at both ends of the lake. A longish exposure to smoothen the water. The low winter sun is casts a warm light on the mountain in the background, while the foreground is in shadow adding contrast to the scene. 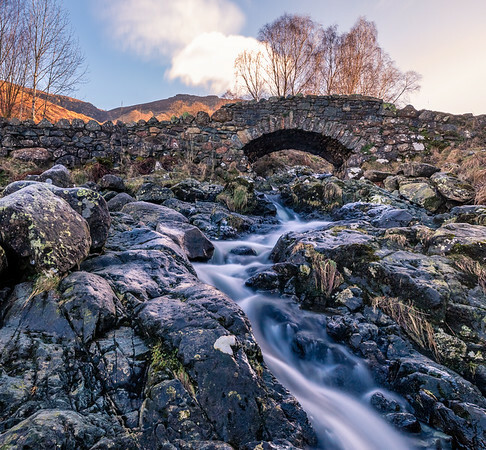 Originally built as a packhorse bridge, Ashness Bridge is a traditional stone bridge on the single-track road from the Borrowdale to Watendlath, in the Lake District. A shot of the hills surrounding Lake Buttermere at sunset. The last rays from the setting winter sun were still hit the peak just as the moon rose from behind the peak on the right. The foreground is in shadows while the the background is lit which in my opinion adds contrast and depth to this image. Buttermere is one of the most photographed locations in the Lake District and its always difficult to find a unique perspective so I was delighted to come across this scene. This picture reminds me of a BlackForest cake with black woods at the bottom and red mountains on the top. 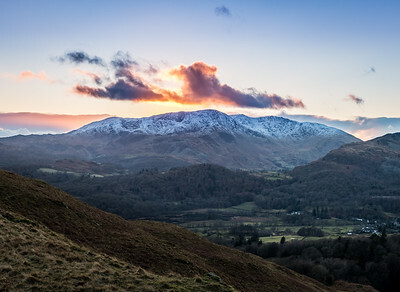 Taken during our climb up Loughrigg Fell, the foreground was in shadow giving character to these already dark woods while the setting winter sun cast a deep orange light on the snowy mountains in the background. The water body is the Grasmere Lake and in the background you can see the small village of Grasmere in the valley just below the mountains. Now that's a pretty damn brilliant location. Long expo at Derwent Water as the sun set at my back. 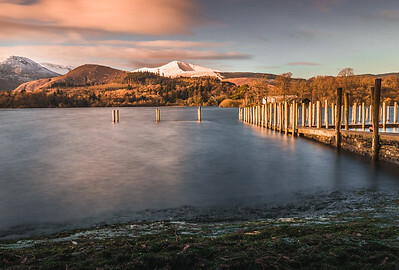 Derwent Water occupies part of Borrowdale and lies south of the town of Keswick. 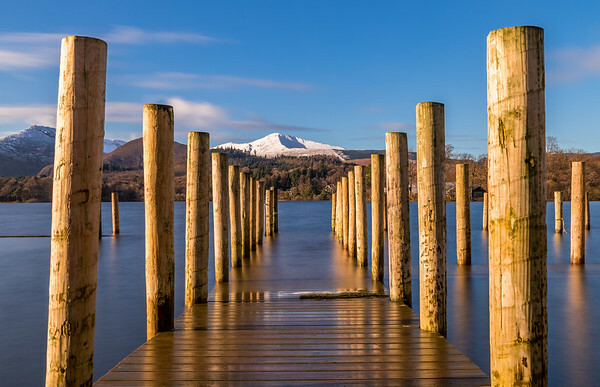 Derwentwater is a place of great scenery and filled with photographic opportunities. It is surrounded by hills (called fells locally), the slopes are heavily wooded with oak trees. 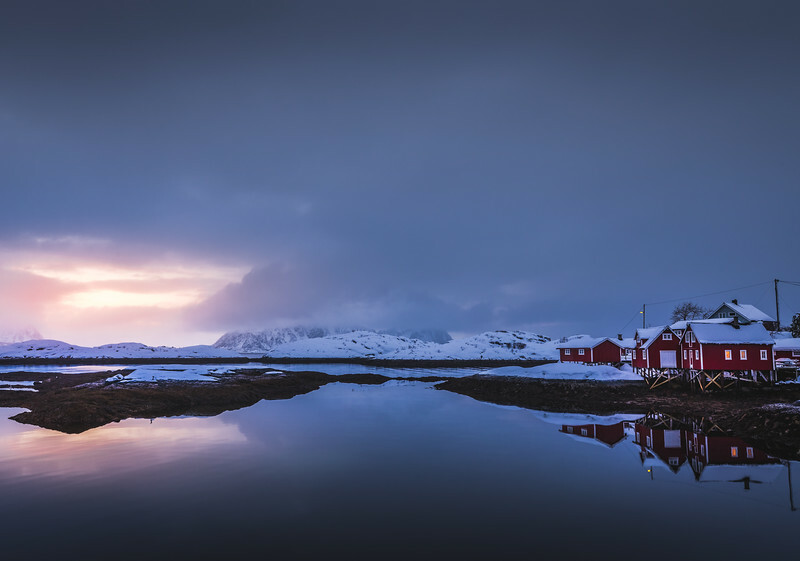 The lake is believed to be the last remaining native habitat of the vendace fish. It was also the shooting location for Star Wars Episode VII: The Force Awakens for the scene "Approach to Maz Kantana's Castle, Takodana". I took this shot just before the climb up Loughrigg Fell. We decided to climb up to the Loughrigg Fell summit for sunset. There were a lot of clouds to the west and I wasn't hopeful for much of a sunset. 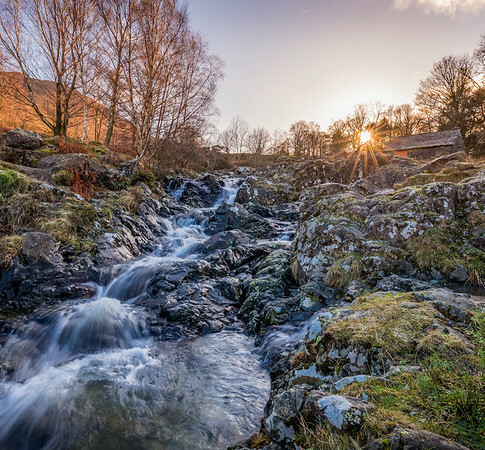 As we started our climb from Rydal Water, the clouds broke just enough so that the low winter sun could cast a stream of light across the landscape creating this scene. It was quite windy so I decide on long exposure to smooth out the water. We were out shooting at Ashness Bridge when we noticed a tourist sign for a place just up the hill called "Surprise View". Now, when a place has a name like surprise view, you have to check it out. Glad we did, as we were pleasantly surprised by the view. It is a very small opening in the woodland through which you can see the entire Derwent Water lake and the town of Keswick. A high-key portrait. Unexpected heavy snowfall in the lake district messed with our photography plans but provided an opportunity for some portraits. The snow and haze provided a great opportunity to do some portrait shots. Travel portraits are the best! 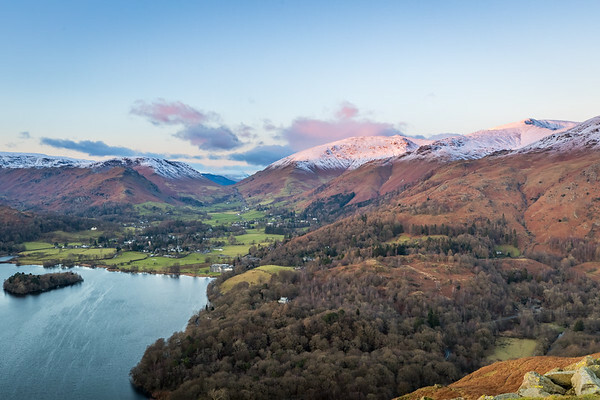 A shot taken from Loughrigg Fell during the last light on a winter's day as the sun sets down behind me casting a brilliant pink glow on the snowy peaks in front. Loughrigg Fell is a hill in the central part of the English Lake District. It stands on the end of the long ridge coming down from High Raise over Silver How towards Ambleside. A shot of Derwent Water as seen from Surprise View in Borrowdale. You can see the small town of Keswick in the distance. Now thats an amazing location for a town, huge lake on one side and towering peaks on the other. I really like how the low winter sun was casting long shadows and caused some parts of the scene to be in shadow while casting a subtle orange glow on others. 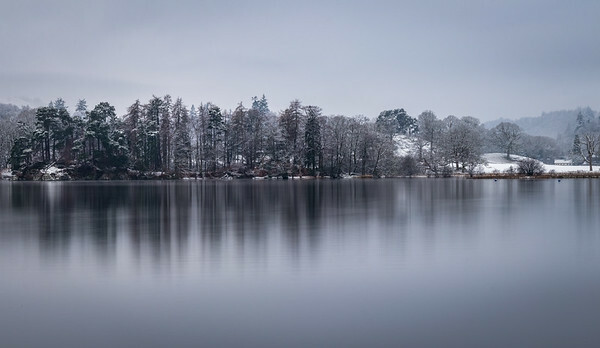 A long exposure of lake Windermere taken from Ambleside just after the heavy december snow. The water was quite still as there was almost no wind. The only thing disturbing the reflections was the ocassional ferry which absolutely destroyed reflections for a good 5 - 7 minutes. Getting this shot was a game of patience and timing to try and get a long exposure after the water had calmed down from the previous ferry and before the next one came into the scene. Long exposure really helped bring out those reflections and removed distraction caused by ripples in the water. A blended exposure from 3 shot AEB. The sun went behind the clouds just for a few minutes lighting the cloud on fire. I took 3 exposures because of the high contrast in the scene. This shot was taken during the climb to the Loughrigg Fell summit.